It’s an annual shopping tradition dedicated to supporting small businesses and celebrating communities across the country. Founded by American Express in 2010, Small Business Saturday is celebrated every year on the Saturday after Thanksgiving. Shop Small is about more than just shopping at small businesses. It’s a cause that helps to support local economies and promote vibrant, diverse communities. It’s also a nationwide movement fueled by shoppers, business owners, and organizers who come together and celebrate the community because they know it matters, Omro matters. "Loving it local goes with getting a jump on holiday shopping right in your hometown, among families, friends and neighbors." 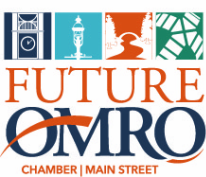 The Shop Small Saturday is a golden opportunity to support local shopping in Omro, coordinated by Future Omro Chamber-Main Street. For more information, call Future Omro at (920) 685-6960 Ext 23.